Andreas Schaefer, fuel scientist at Shell South Africa, used the launch function to explain the intricacies of the DYNAFLEX Technology incorporated in the new fuel launched by Shell. It’s a complex blend with powerful cleaning agents to enhance performance and protect from deposits to maintain engine efficiency. It’s not often you get a new formulated fuel on the market and it is thus that Shell South Africa is pretty excited about the introduction of its next generation of advanced fuel formulations enhanced with DYNAFLEX Technology. The DYNAFLEX technology also includes a new additive for Shell V-Power 50ppm. Available in all of Shell’s fuel offerings, DYNAFLEX technology is the next evolution of diesel and petrol fuels. It’s said to be a complex blend with powerful cleaning agents to enhance performance and protect from deposits to maintain engine efficiency. 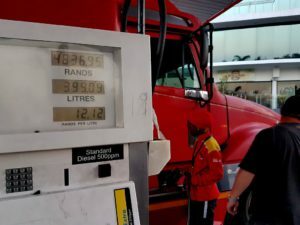 Ashley Abrahams, national sales manager, Commercial Fuels, Shell South Africa says the new Shell Diesel Extra with DYNAFLEX Technology can save customers up to 3% on fuel costs. 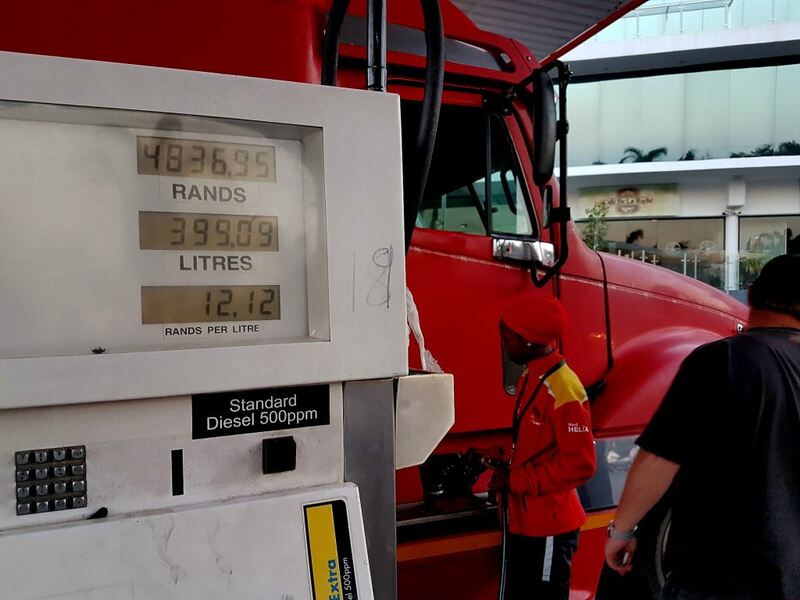 If that’s the case, that’s a huge saving to operators who put in thousands of Rand of fuel on just one fill – as this FleetWatch file pic shows. R4836.95 and still a long way to go to a full tank. For diesel customers, Shell has developed a unique DYNAFLEX formulation containing new dual-detergent molecules for a clean and efficient engine. This means diesel engines – old or new – can benefit as the fuel helps clean up engines even after just one tank and keeps it clean. Ultimately, this fuel is designed to help customers get more out of their engines and lower operating costs. “Our commercial customers will experience major benefits with this new fuel formulation,” says Ashley Abrahams, national sales manager, Commercial Fuels, Shell South Africa. According to Abrahams, the new formulations were developed in-part to keep pace with evolving engine technology.